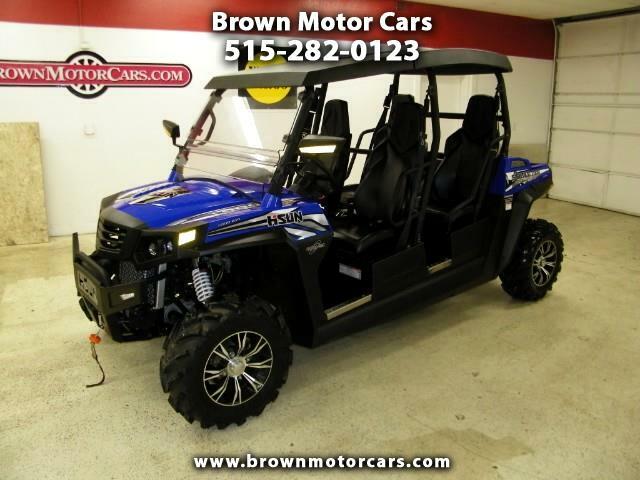 Stop out and take a look at this 2015 Hisun Strike 1000 Crew Sport UTV that we just got in on trade! These come standard with many options that are upgrades on most other models! This Strike 1000 comes standard with a 3,500lb winch, 18 way adjustable shocks, windshield, roof, turn signals, running lights, locking rear differential, fuel injected v-twin engine, aluminum wheels, and tons more! This one is in very good condition and is ready to go riding. Why pay tons extra for additional options when these come standard with them? Stop out and take a look at this awesome machine today because it won't last long!